St. Bonaventure University’s online Master of Science in Education School Counseling will help you develop a career rooted in your compassion for students in need. This program is specifically designed to prepare you to become a licensed school counselor. Through engaging coursework and in-field practice, you’ll learn to support primary, middle, and high school students in the most vital areas of their development. Establish Strong Professional Foundations — Understand the essential concepts and fundamentals of counseling, working in the field and in the classroom. Cultivate a Spirit of Service — Learn from a like-minded network of people driven to make a difference, as you develop your philosophy and counseling style in P-12 environments. Develop Deeper Human Perspectives — Use your understanding of classroom theory and the specific needs of diverse communities and populations to improve outcomes for students while in the field and during your residency. Graduates of our online master’s in school counseling program exemplify extraordinary goodness through the students they counsel and their greater community impact. To acquaint the beginning graduate student with the field of abnormal psychology with an emphasis on the definitions and distinctions between the various abnormal disorders, an introduction to the current research in the field, a discussion of the numerous continual controversial issues and a review of the data-based treatment approaches. In addition, this course will assist the graduate student to understand the nature, needs, and problems of individuals at all developmental levels over the life span and to understand the nature, needs, and problems of a multicultural and diverse society. This course provides a basic introduction to group process and group counseling. The class will blend theory with practice. The course will explore various theoretical approaches to group practice, as well as the four group work specializations developed by the Association for Specialists in Group Work: Task, Psychoeducational, Counseling, and Psychotherapy. Prerequisites: Formal faculty approval following successful completion of the Practicum. To provide students with knowledge and skills in the management of school-based counseling programs. Topics to be examined include: needs assessment, program development, time management, consultation within the system and community, intervention strategies, evaluation and public relations. This is an intermediate class designed to improve the clinical skills of graduate students in Counselor Education by providing them with an in-depth application experience in the Multidimensional Approach to the diagnosis and treatment of psychological disorders of children and adults. This approach emphasizes the genetic, biological, race, gender, class, religious difference, sexual orientation and social learning factors as they influence the individual and their psychological disorder. With rising student enrollment in elementary, middle, and high schools, the Bureau of Labor Statistics projects the employment of school counselors will grow 13 percent from 2016 to 2026. That’s almost twice the national average. Along with an increase in enrollment, the number of students needing services is expected to grow as well. 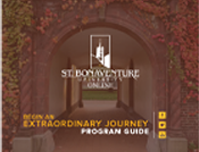 St. Bonaventure’s online master’s in school counseling will prepare you to meet all the requirements of the highly specialized role of a licensed school counselor. In our accredited program, you’ll take an educational path that combines quality and affordability. Our graduates have a 98 percent pass rate on the licensed professional counselor exam. We credit this outstanding result to a focused curriculum, internship placement assistance, and dedicated support from faculty and advisers. Individual and Group Counseling Competencies – Learn different approaches for prevention, intervention, and crisis intervention, and analyze and use data to improve the efficacy of your programs. Cultural Competencies – Explore the issues of diversity, equity, advocacy, and opportunity, and understand the factors that influence the personal, social, and intellectual functioning of different cultures. Communication – Master the vital skills of listening, socialization, boundary setting, and empathy. Critical Thinking – Evaluate relevant research with a scientific mind to make assessments, diagnoses, and develop a treatment. Business of Counseling – Examine the profession of counseling, learning a counselor’s role and ethical and legal responsibilities. To speak with an enrollment adviser about how these skills can shape your career, contact us. Below is a sample list of courses you will be required to complete for the online Masters in School Counseling program. To view a full list, please fill out the form and download a program brochure. Auctor elit sed vulputate mi sit amet mauris commodo quis. Amet nisl suscipit adipiscing bibendum est. Nulla facilisi nullam vehicula ipsum a arcu cursus vitae congue. Mi ipsum faucibus vitae aliquet. Felis bibendum ut tristique et egestas quis. Neque sodales ut etiam sit amet. Etiam tempor orci eu lobortis. Non consectetur a erat nam. Fermentum leo vel orci porta non pulvinar neque laoreet suspendisse. Lectus vestibulum mattis ullamcorper velit. Aenean vel elit scelerisque mauris pellentesque pulvinar pellentesque habitant. Id interdum velit laoreet id donec ultrices tincidunt. Posuere ac ut consequat semper viverra nam libero justo laoreet. Program Director Dr. Christopher Siuta shared program information about the online graduate programs in education counseling, as well as the two residencies that are part of the curriculum. Current students in the School Counseling and Clinical Mental Health Counseling programs joined the webinar for a panel discussion about their residency experience and to answer Q&A from the audience. School counselors ensure that students reach their fullest potential and become well-adjusted adults. They maximize students’ academic, career, and social and emotional development by organizing a sophisticated support system at school, at home, and in the community. 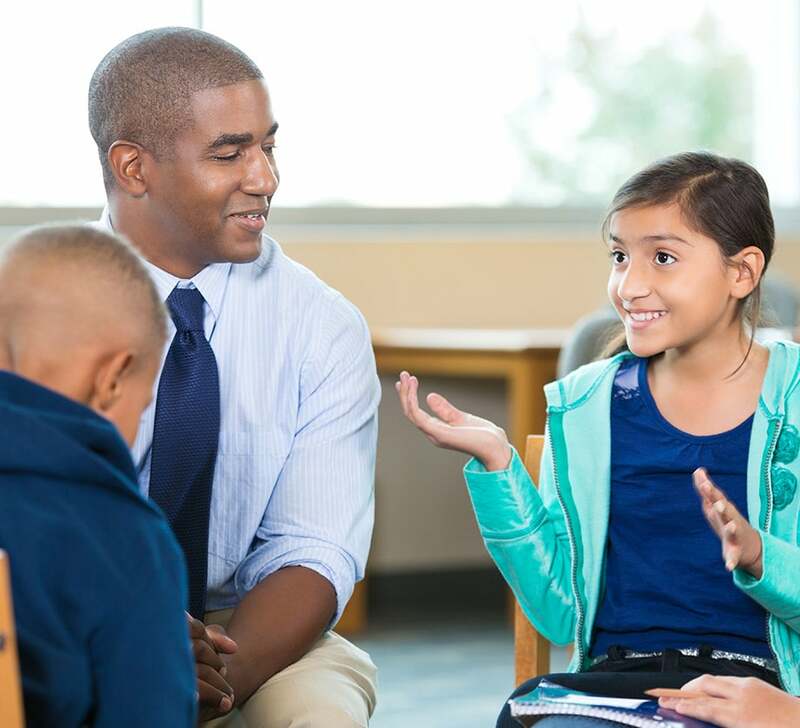 As a licensed school counselor, you’ll have the opportunity to connect with diverse people, observe successful outcomes, and build a stable and positive career. Are you looking to transition to a role where you can work more closely with students in need? An online master’s in school counseling is your first step towards greater career satisfaction.